It was inevitable that Hockey Night in Canada would take its annual Hockey Day to Peterborough, as it’s doing this coming Saturday. Eventually, we knew, Ron and Don would make their way up Highway 115. The fact that they waited 13 years to do it is deceiving. It makes it seem like the Ontario city is just one more in a longish line of smaller hockey-fervent heartland municipalities, not so different from the rest of the stops on the HNiC trail, your Stratford, Ontarios, your Campbelltown, New Brunswicks. Don’t be fooled, though. That, of course, is just crazy-talk. Peterborough is different. It’s one of the things, it so happens, that we treasure most about our special relationship to the game: just how ineffable it is. That, to us, is a big plus. People want answers, though, and probably deserve them, which is why we’re constantly having to explain that it’s not our way. Due to our hardscrabble pioneer roots and general northerly nature, mainly. Probably. Fending for ourselves, far (ish) off the beaten track, we who hail from the banks of the Otonabee River have been, historically, a quiet, mumbly people, whose tongues are easily tied. In days gone by, it’s said, our forbears would nod and shrug rather than speak three sentences in a row. Even today, Peterboronians much prefer to text or e-mail or poke you on Facebook than speak to you face-to-face. It’s nothing personal: that’s just the way we are. It has to do with Bob Gainey. He’s a big part of what I’m talking about here, the specialness. Gainey is the first son of our NHL alumni — a keystone. Dit Clapper is a part of it, too, even though he came to town from elsewhere. The Petes are in there, obviously, along with everyone who’s worn the maroon-and-white (Gretzkys, Yzermans, Prongers, Redmonds, and Jarvises), or coached the team (Bowmans, Keenans, Nielsons, Todds, and Greens). The Memorial Centre, no question, is huge — also the Northcrest and the Kinsmen. The thriving minor-league system? Of course. CHEX-TV showing all those great Montreal teams of the 1970s has to factor in. The Larmers. Corey Perry, Cory Stillman. The fact that the Toronto Maple Leafs used to gather here every fall for their training camps. 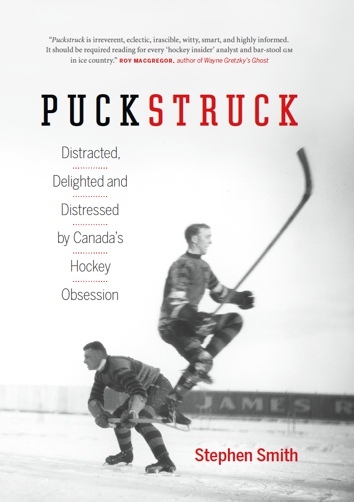 Important, too, of course, all the vintage hockey heroes of the town who never made it to the big time, men with names that sound like Paul Quarrington made them up, your Honey Tompkins and Biffer Rangers, the Dootch Vitarellis and Rubber Heals. Dave Bidini had a column for a while on The New York Times’ hockey blog that bore the felicitous banner “How Flin Flon Explains The World,” which kind of comes close to what we’re talking about here. In fact, as may not be widely known, Flin Flon happens to be the Canadian town that comes second to Peterborough on the scale of inexpressible hockeyness — some say it even edges slightly ahead, at least in the category of how much fun it is to say aloud. What Peterbragonians sometimes say is that as Fort McMurray is to Newfoundlanders working in the oilpatch, our town is to hockey. Okay, we’ve never actually said that, and it doesn’t really work, but this is, remember, a work-in-progress. As Waterloo is to formerly market-dominant smartphones? As Asbestos, Quebec is to … asbestos? That’s a start. We can work with that. Will Ron have time, though, this weekend to help us explain ourselves? I can’t see it. He’s going to be busy and, plus, it’s always pretty loud where he is. In the end, we may just have to ask you all to trust us on this: Peterborough is a hockey town unlike any other. 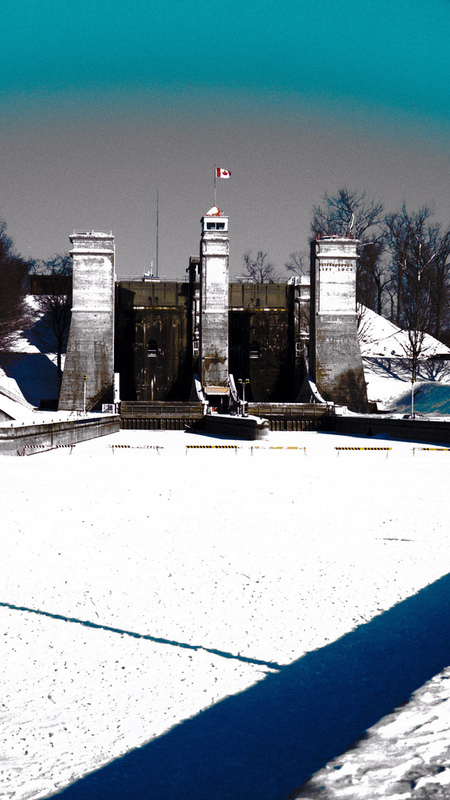 You’ll probably get a sense of that this weekend, if you’re watching all the Peterbruffians out there on the ice by the Liftlock. Mostly, though, you’ll have to take it on faith. The forecast is for sunshine and a low of -18.